Cartoon Network's Young Justice has a new videogame on the horizon for PlayStation 3, Xbox 360, plus Nintendo's Wii and DS from equally young game publisher Little Orbit. 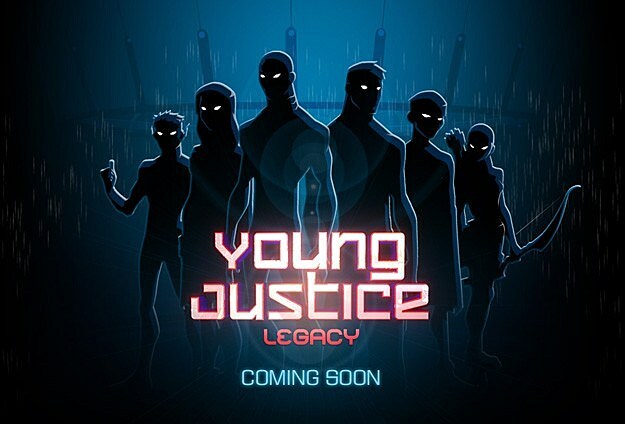 Slated for an early 2013, Young Justice: Legacy will feature an original storyline that bridges the events of the animated series' first and second seasons. The biggest selling point for a lot of fans will likely be Legacy's robust cast of 12 playable characters, though, which will include YJ's core cast of Robin, Superboy, Artemis, Miss Martian, Aqualad and Kid Flash.In addition to a single player campaign, Little Orbit also says the game will include online both local and online multiplayer modes. It's kind of that whole "Titans, Together!" thing, only... younger? and justice-ier? While Little Orbit has yet to reveal actual screen shots or video footage demonstrating how the game will look/play, Legacy's official website has sort of a fighting game select screen vibe to it. No word on whether the show's official voice cast will be tapped for the title, but considering the history of most of DC's animated series-based games, it seems probable.